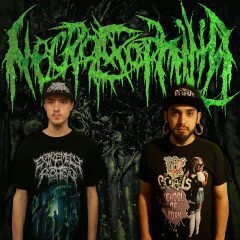 Necroexophilia is an internet project composed of Tommy Rouse, giving you harsh extreme gutturals, & Justin McNeil of Murdered providing all instrumentation and composition. Their first release, Frantic Visions of a Xenogod with former band member Slamophiliac was released under CDN Records. 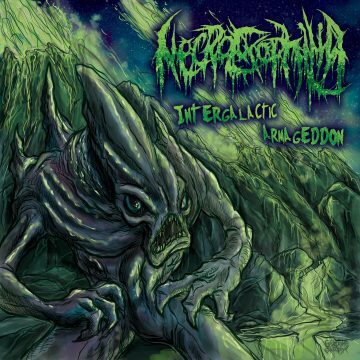 With new member Justin McNeil in the fold, the band released their sophomore full-length album Intergalactic Armageddon on CDN in April of 2018. Brutal USA Slam!! Vocals are straight from the bowels of Hell. Features member of Slamophilliac and Spilling Entrails.